Sigma One represents a new developmental focus for me. Until now, NgTechnik Design (formerly NgTech Labs) has focused on three primary system attributes: performance, stability and aesthetics (styling). In a departure from previous efforts, it was decided that NgTechnik would develop a new type of system, focused specifically on a single more important attribute: ergonomics. What you see here is the final product of this new line focus, also indicating the name change. First and foremost among ergonomics is system acoustics, and in developing this system I went all-out, attacking every single conceivable source of noise, of every single type from moving parts resonance, to wind flow noise, to drive access noise and any other sound I encountered. Measures taken are demonstrated here. The result of all this work? Sigma One is so quiet, so very dead silent, that the Onkyo TX-SR501 receiver is audible from sitting position! Yes you read correctly: the absolutely minute buzz produced by the solid state surround receiver of this system is faintly audible over the sound produced by Sigma One itself. 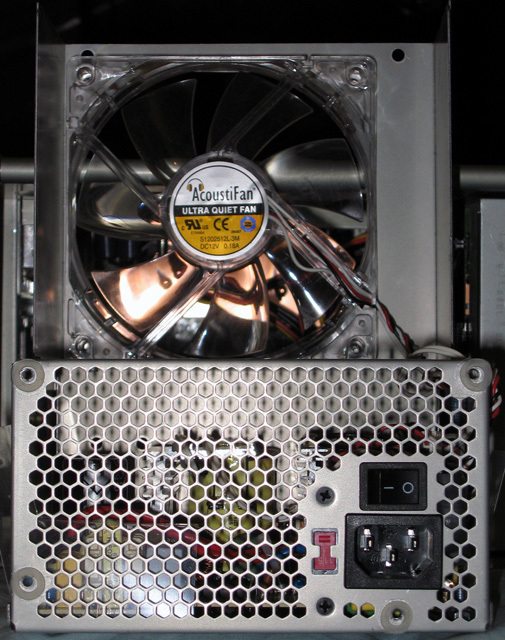 Along with the dampeners and quiet drive selection, the Fortron power supply unit, which ships with a relatively quiet 120mm fan, has been extensively modified by myself, using a new, even quieter fan, the AcoustiProducts Acoustifan AF120CT. The modifications are detailed below, along with images and commentary. Next in regards to personal computer ergonomics is ease of use and controls comfort. Everything should fall to hand naturally, and using the system should be a joy, not a pain. Because the original reason for building a silent system was to get the absolute most out of the high-end, high-fidelity sound system attached to this system, a tight focus on ergonomics came into play when choosing the control setup and display type. The most comfortable position for listening to the system is a good eight to ten feet back from the desktop, feet up, free from the tangle of wires and the claustrophobic atmosphere of the computer desk. To deal with this, the Logitech Wireless Desktop MX for Bluetooth with MX900 mouse were chosen as interface method. Bluetooth wireless technology proved to be high performance enough, with excellent response time, and the range is sufficient to work from anywhere within my bedroom, home to Sigma One. Another excellent feature of Bluetooth is its compatibility with other Bluetooth-enabled devices such as PDAs and cell phones. I am currently synching up my Bluetooth-enabled cell phone, a Sony/Ericsson T610, to my machine and keeping an active contact database crosslink between the cell phone and Outlook 2003. Plus this will allow me to very quickly move to the next cell without worry of having to reprogram it all. Finally, the display type is of critical importance to ergonomics. To achieve the target of minimal environmental sound production, I chose to match Sigma One up to the quietest practical display type, a 15" LCD, or more precisely, the Samsung SyncMaster 151P. LCDs produce much lower noise output than CRTs, such as the ViewSonic P95+ hooked up to Alpha Three, which lets off a clearly audible buzz when the room is, all else considered, silent. The 151P was chosen over other models because of its stylish F.A.Porsche-designed facade and because it has digital (DVI-I) input. 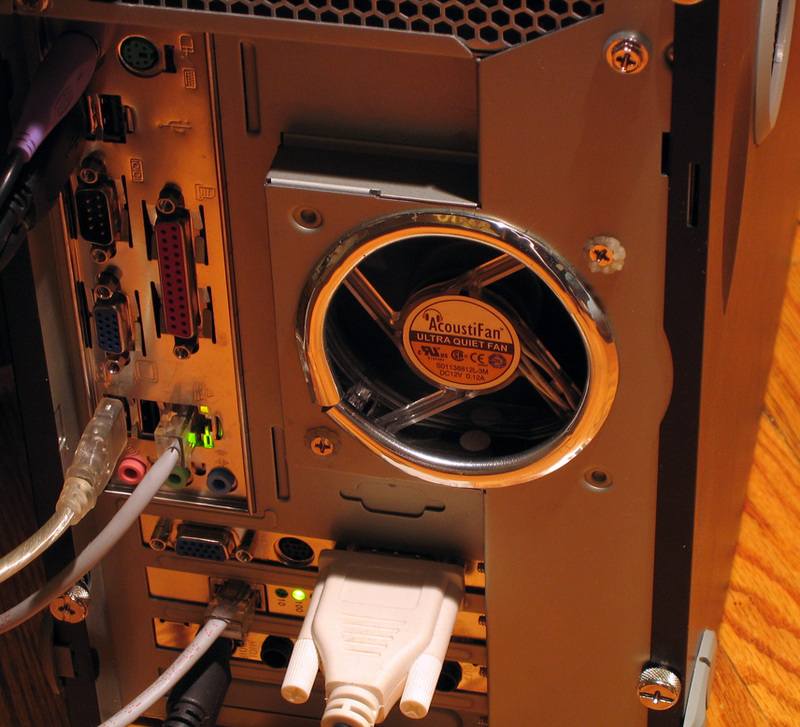 The DVI input is critical in avoiding the image-destroying digital-analogue and analogue-digital double conversion process required to hook up LCDs using standard VGA hookup. The image is much sharper and stable than that of analogue-connected LCDs or CRTs, and critical to a system that will be used for long hours like Sigma-One. Please proceed to the images below, after a brief review of specifications, to experience Sigma-One more in-depth. And now, on to the pictures! NgTechnik Design Sigma One, from up front. 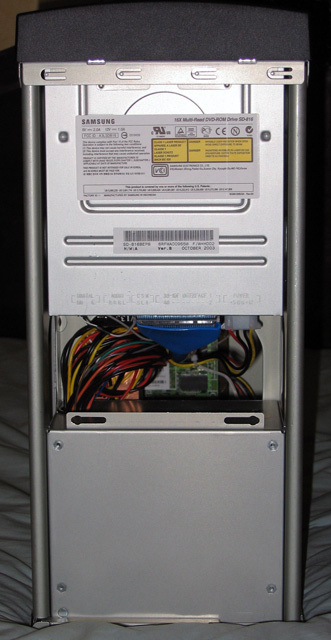 A close-up of the PSU from behind. and the hex pattern rear panel provides excellent low-air-impedance. Here is the system from the side, with the panel shut. 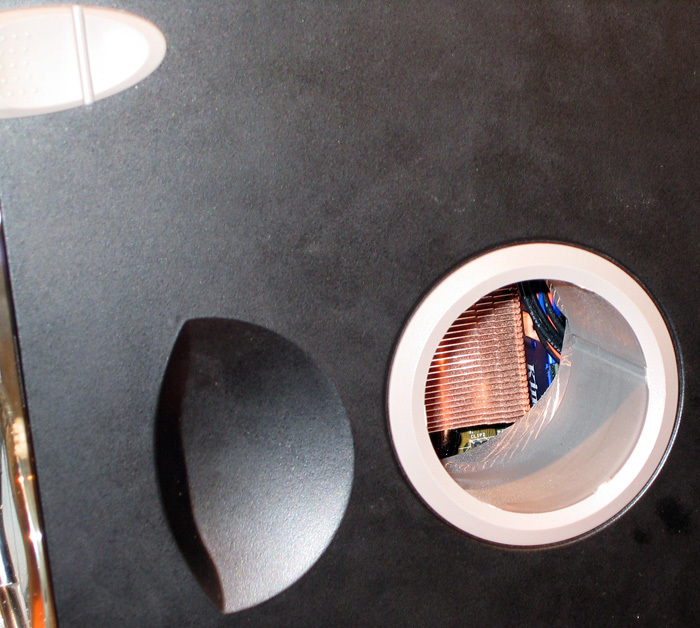 Notice that the CPU heatsink is clearly visible at the inside of the duct. 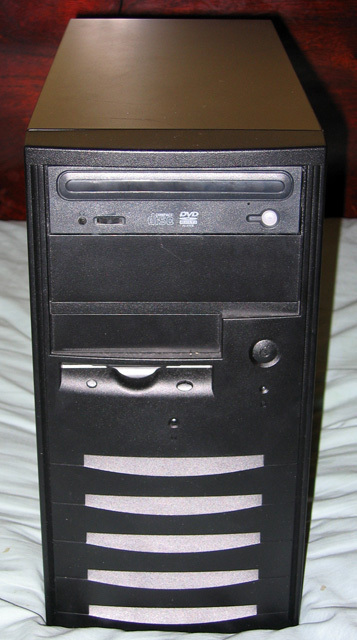 built up by the PSU and case exhaust fans, which draw cold air in to cool the CPU. covering it up as decoration, but it severely hampered air flow and was thus tin snipped right off. Here, we have the panel open and propped to the side. promote air flow via negative pressure using the exhaust and PSU fans. The side panels, top panel and front panel are lined with, "egg crate," foam. 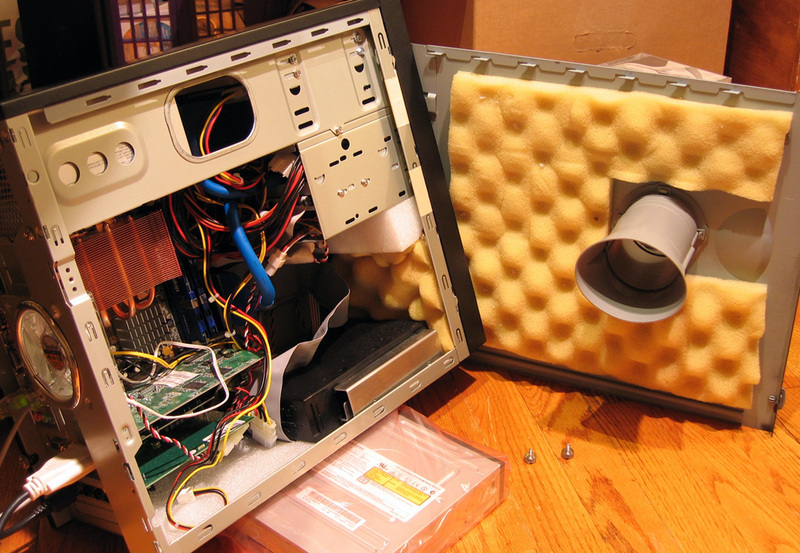 to reduce the hard drive's already extremely minor noise output to absolute zero. from another angle, for a much better view! taken from above, with the top panel removed. 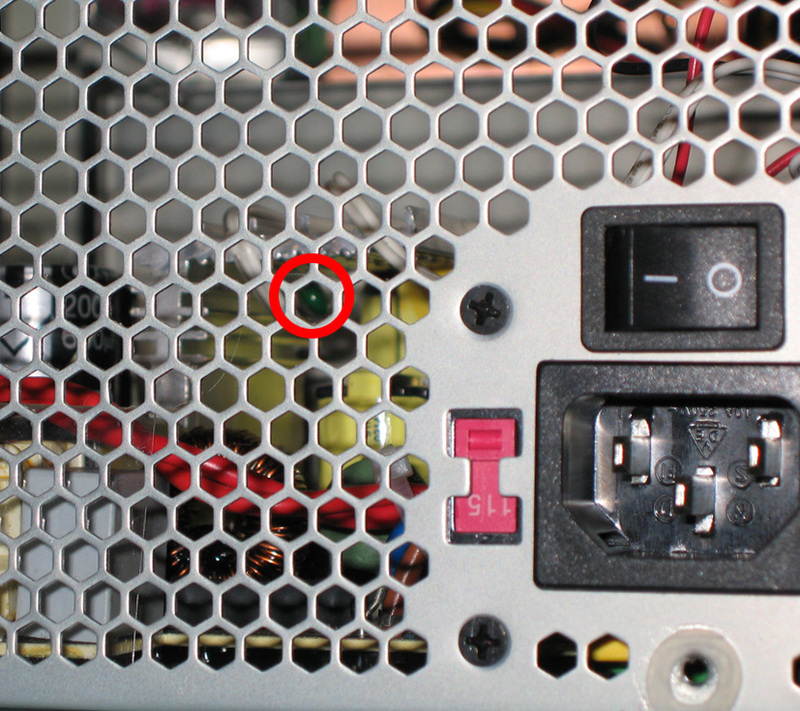 Here's a close-up shot of the PSU from below while sealed. I have completely removed the grill to eliminate air impedance. 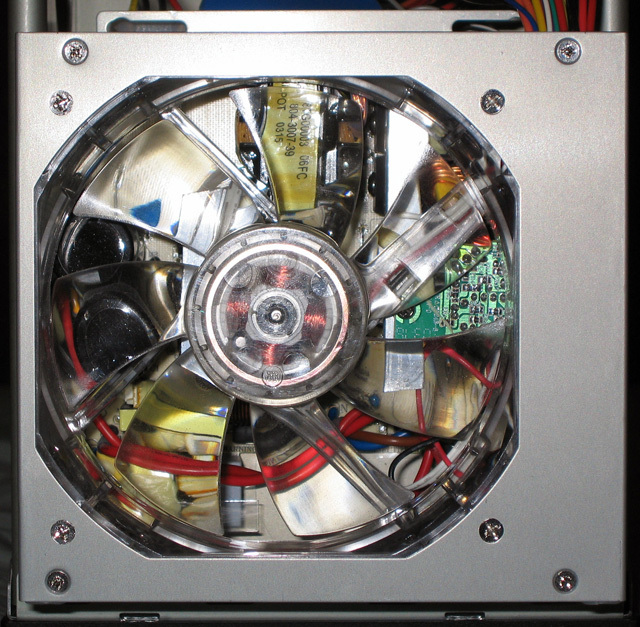 The clear plastic blades of the AcoustiProducts Acoustifan AF120CT are obvious. 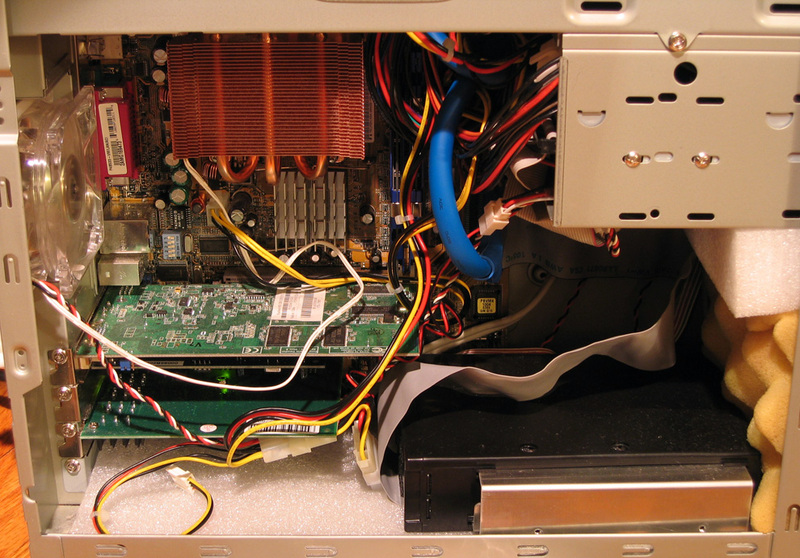 A direct rearside shot of the PSU with the bottom cover opened up. The fan's label is clearly visible, as is the perforated back panel of the unit. Another shot of the same thing but from a much higher angle. 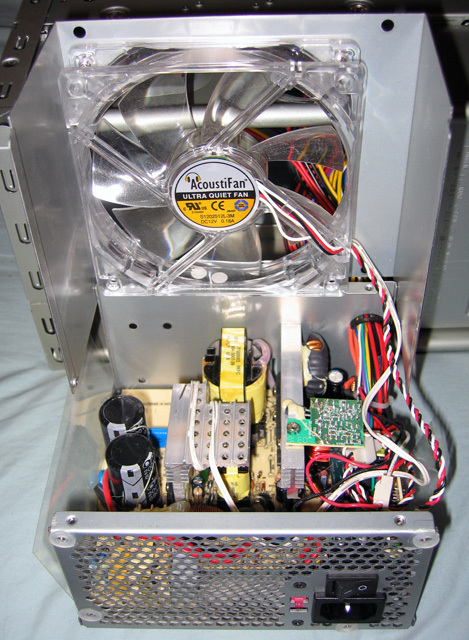 the wiring of both the fan's power as well as the fan's thermal diode. 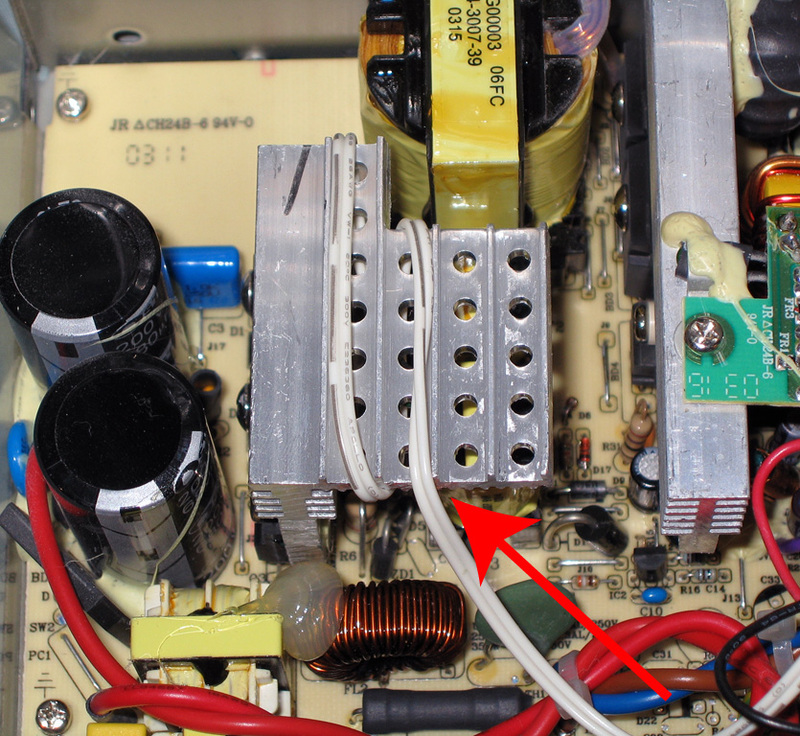 circled in red, that belongs to the in-line resistor included with the AcoustiFan AF120CT. 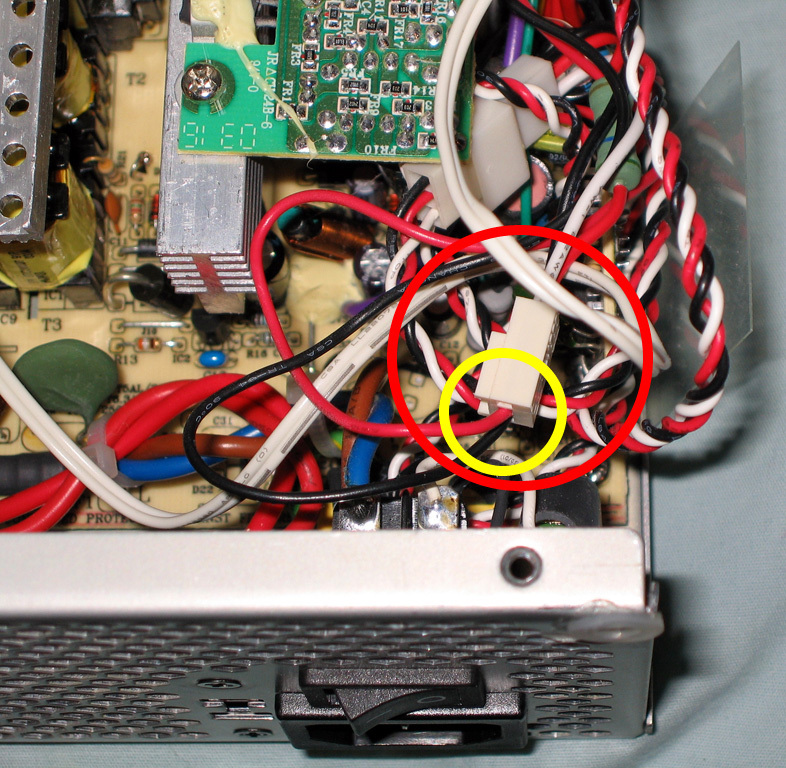 In this angled shot, the resistor has been circled in red. 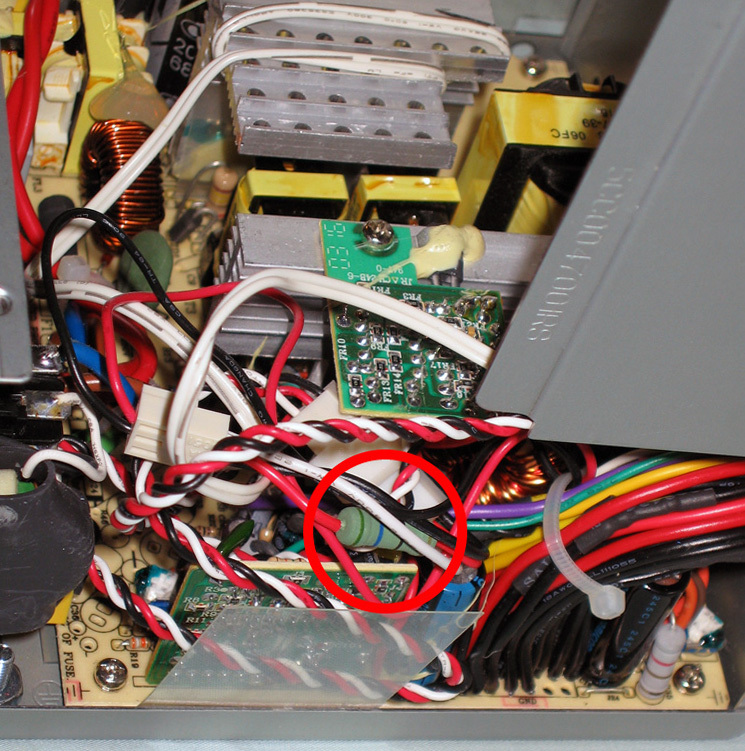 Here's a close-up of one of the internal heatsinks of the PSU. the red arrow in the image indicates approximately where the head of the diode is. and has been circled in red to make it more noticeable. I'm using as DAC and integrated amplification for my speakers. a Paradigm Reference series Studio/20. They're mounted to Atlantis Reference 28 stands. 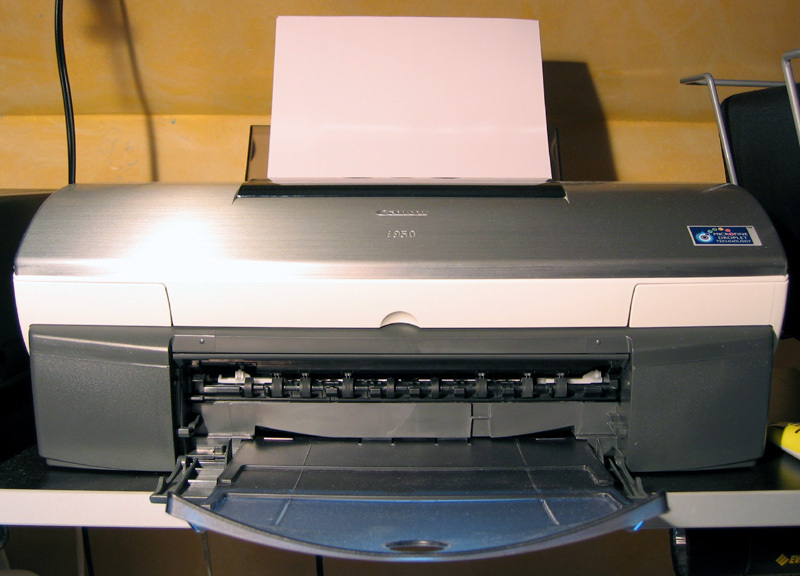 I'm using a Canon i950 photo printer for projects. 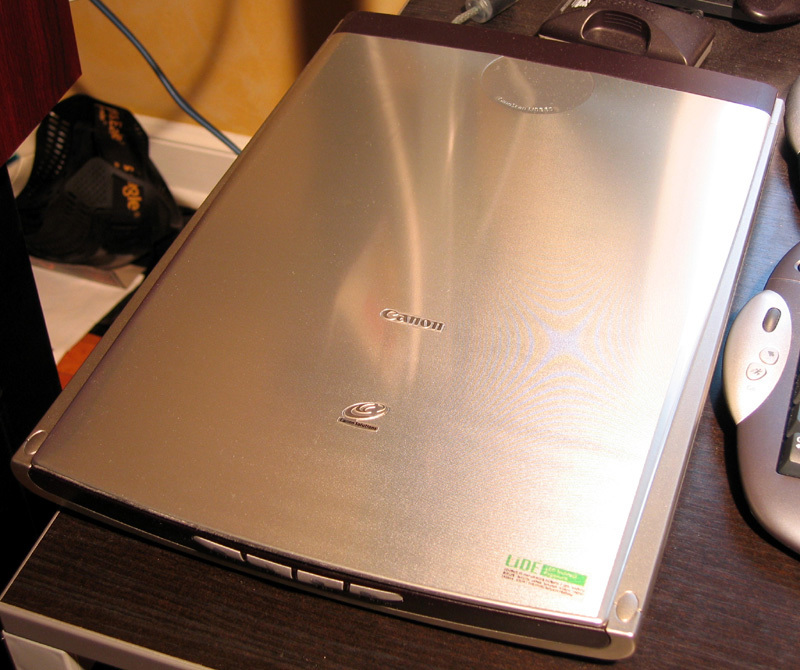 Along with this Canon CanoScan LiDE 80 for digital imaging. 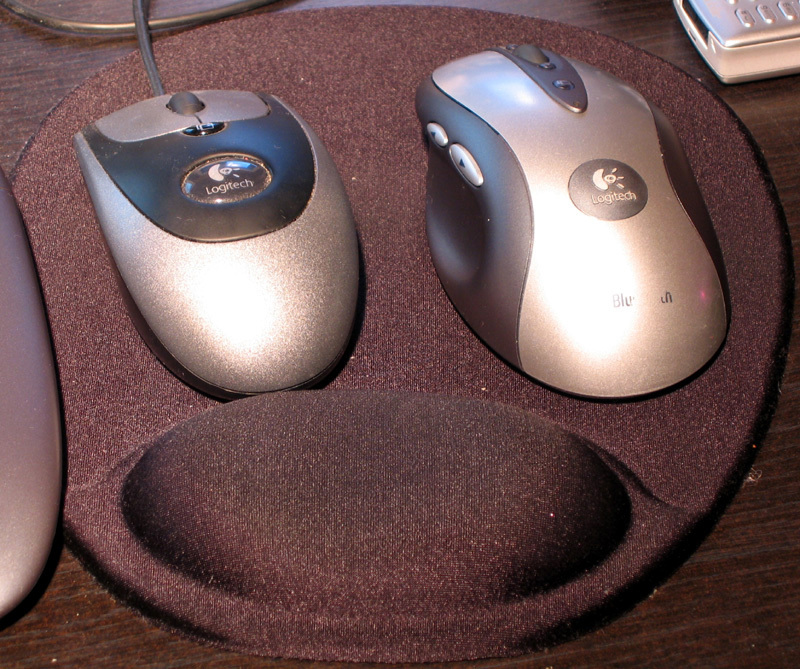 Finally, here are the mice for both systems. Even more pictures of the system can be seen here; these shots are older, but more encompassing. Included here are shots of the sound system (now outdated), input devices and display unit. Please point all comments and inquiries to Edward Ng.